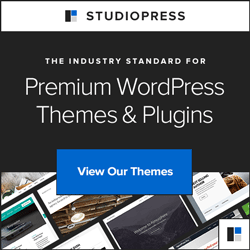 Studiopress has recently launched a score of new Genesis themes, Beautiful Pro Theme. With HTML5 markup it one of the most advanced and fastest theme. If you are already used to HTML5 markup after the Genesis 2.0 update, then this is the theme for you. Along with HTML5 markup, you also get a mobile responsive template, custom header and custom menus. You also get a custom landing page template included in the theme itself to create sales pitches and increase your online earning. The landing page provides a distraction free content to the visitors whose sole purpose is to make a sale. The themes are also SEO optimized, so you will get higher search engine rankings with them. But before using the Beautiful Pro Theme, you need to have the Genesis Framework installed. The framework is the parent without which your child theme won’t even install. Genesis Framework and their child themes actually work in a very simple way. Their working is similar to object oriented programming similar to how Java works. If you have done Java, you would probably know how inheritance works. The Child themes (Beautiful Pro) will actually inherit some of the properties of the parent theme (Genesis Framework) and along with some of it’s own properties, it creates a great looking website for you. In terms of display, you have three different templates – one normal and two responsive (one for smartphones and one for tablets). You can check out the demos in the purchase page. You also get three default layouts – sidebar / content, content / sidebar and full page width. In terms of templates, you get four options – archives, blog, columns ( where you can have multiple columns ) and the landing page template for making sales pitches. When you buy the Genesis Framework, you get unlimited updates and supports and access to detailed tutorials. And you will only have to pay once for the theme. After that, you can only buy the other child themes that you will love. The price of the combined Genesis Framework and a child theme costs $99.95. So, make sure you check out Genesis Framework and it’s Beautiful Pro Theme. My name is Brian and I’m a Graduate of Business Administration Marketing. I work full time in Sales and Marketing. I am also the owner of Blog Engage a social network I created specifically for bloggers. Should You Really Develop Your Business Around Your Passion? What Most People Mess up in Blog Commenting? Content VS Marketing VS SEO: Which Is The Real King? Ashutosh Kumar on What Most People Mess up in Blog Commenting? Naseem Ansari on What Most People Mess up in Blog Commenting? Copyright © 2019 Blog Engage. All rights reserved.